Anyone who’s ever fantasized about making wine can participate in a grape harvest at one of these California programs. 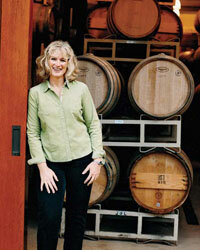 Known for its intensely concentrated Cabernets, this Howell Mountain winery offers three-hour harvest tours in October. Guests help pick and sort grapes, watch how they’re crushed and sample wine at different stages of fermentation directly from barrels. The tour includes lunch in the garden, accompanied by Ladera wines. By appointment only, $75 per person; laderavineyards.com. 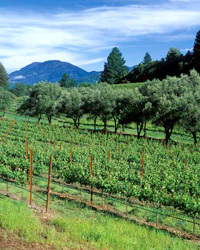 Schramsberg (pictured, above) founded its three-day camp in 1997, becoming one of the first Napa Valley wineries to allow nonprofessionals to participate in its harvest. 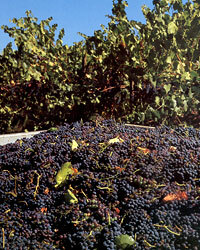 Under the guidance of winemakers Hugh Davies and Craig Roemer, guests pick Pinot Noir or Chardonnay grapes, depending on which are ripe, and see the grapes through the crush process. Since Schramsberg is a producer of top-notch sparkling wines—its Blanc de Blancs is an F&W American Wine Awards 2008 winner—participants learn about the particulars of making sparkling wine. The camp also includes pairing courses on the Culinary Institute of America’s Greystone campus. In the spring session, guests watch the winemakers blend wines to create the final products. $1200 per person, lodging not included; schramsberg.com. This three-day program roams all over Sonoma: Participants can pick and sort grapes in the Alexander Valley and get an insider’s look at winemaking at Frei Brothers, Jordan, Francis Ford Coppola Presents Rosso & Bianco and Kunde wineries. Not only will they see how the process differs at various wineries, but they’ll also have the chance to sit down with renowned vineyard managers like Ulises Valdez (Paul Hobbs) and Steve Dutton (Dutton Ranch), and top winemakers such as Greg La Follette (Tandem Winery). At the end, guests blend their own wine. Participants stay at the Vintners Inn in Santa Rosa. 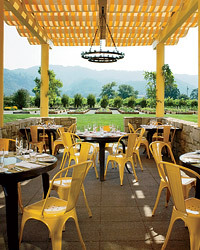 $1,750 per person for doubles, includes meals and lodging; sonomagrapecamp.com.